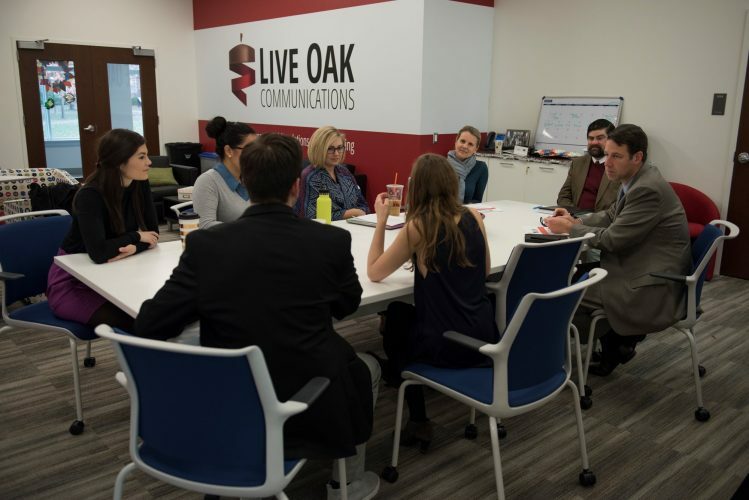 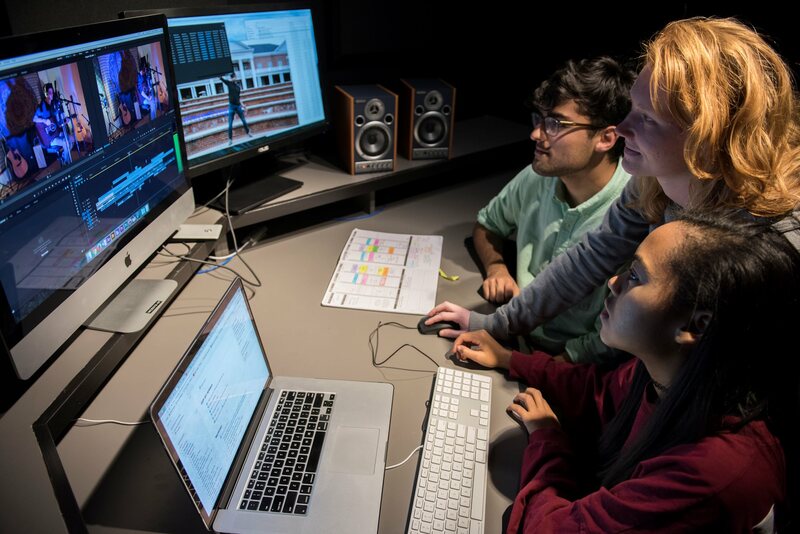 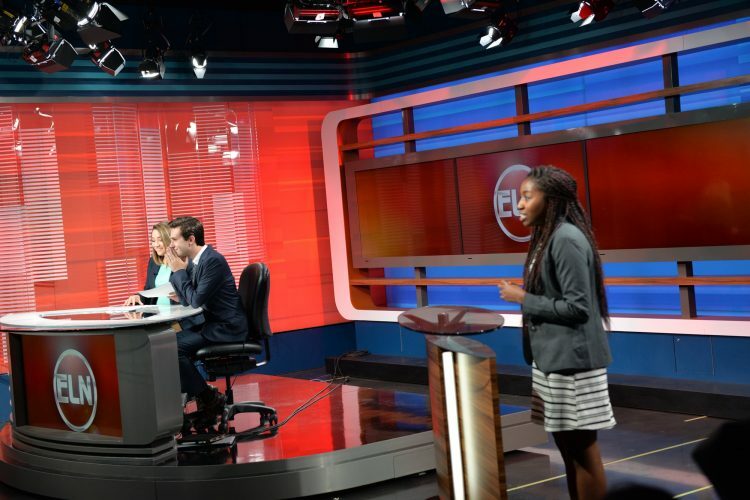 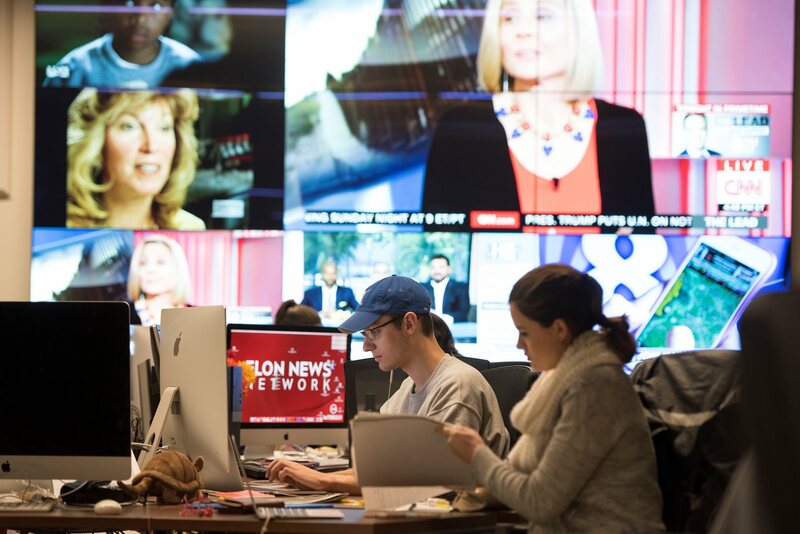 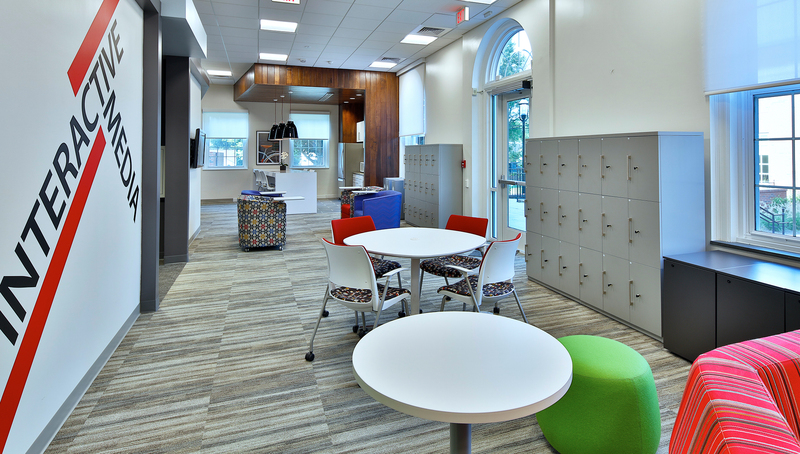 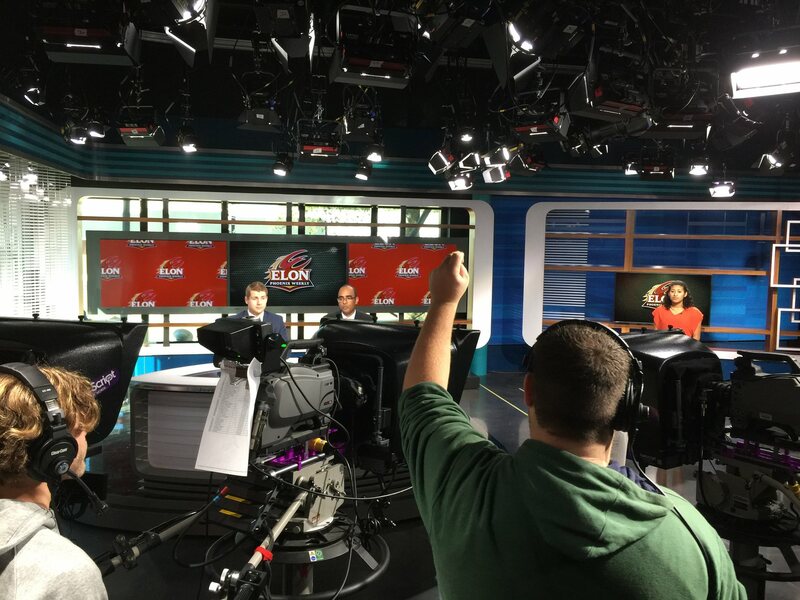 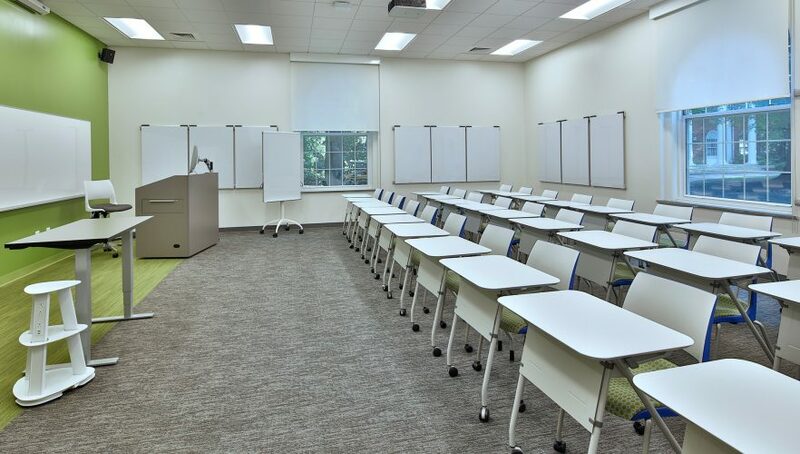 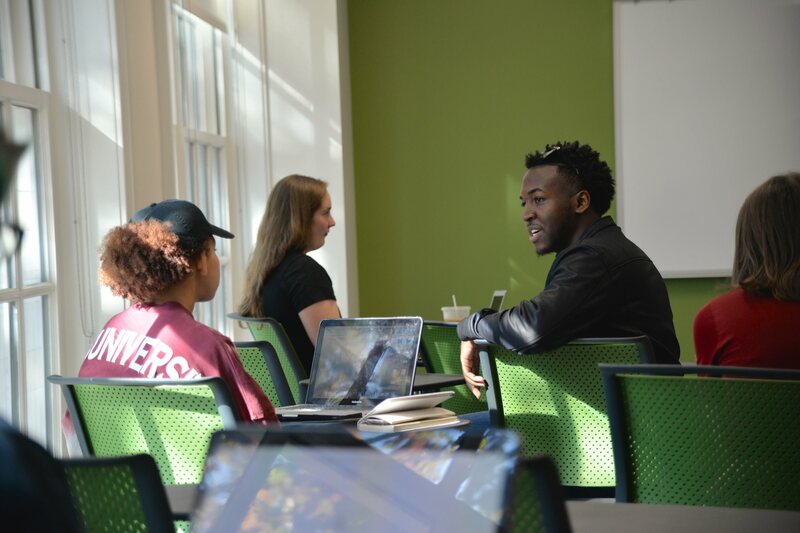 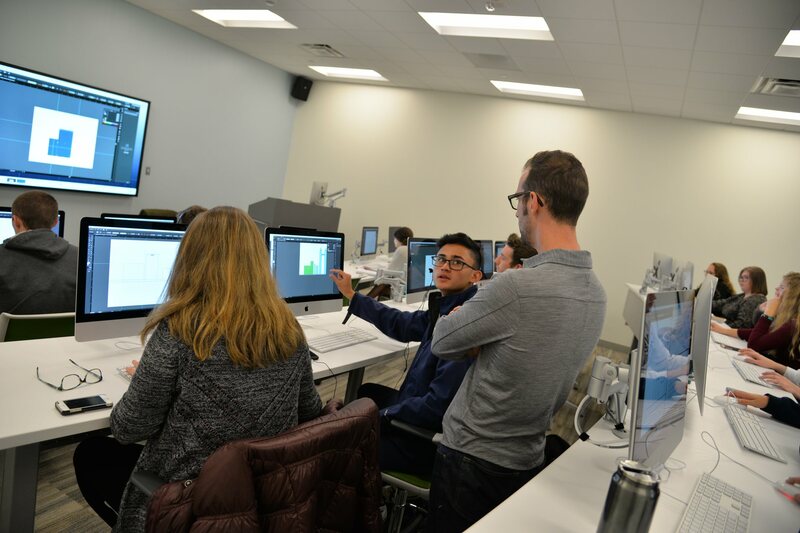 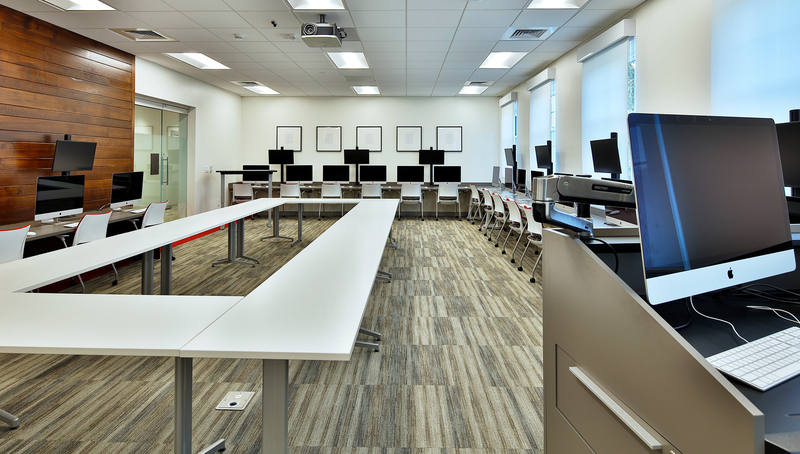 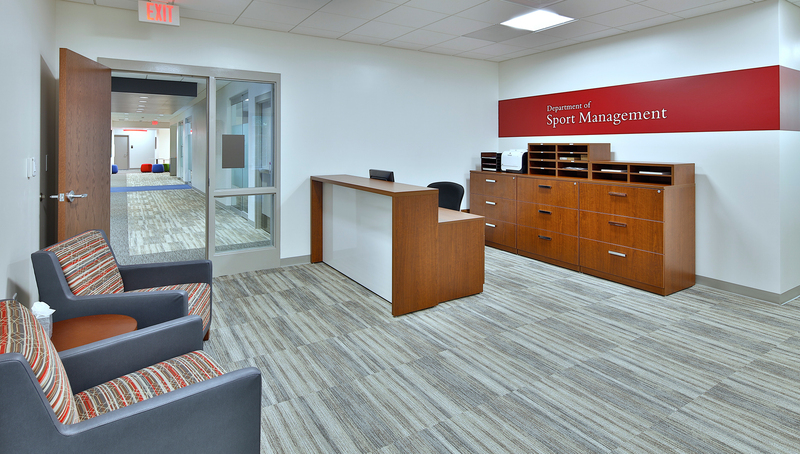 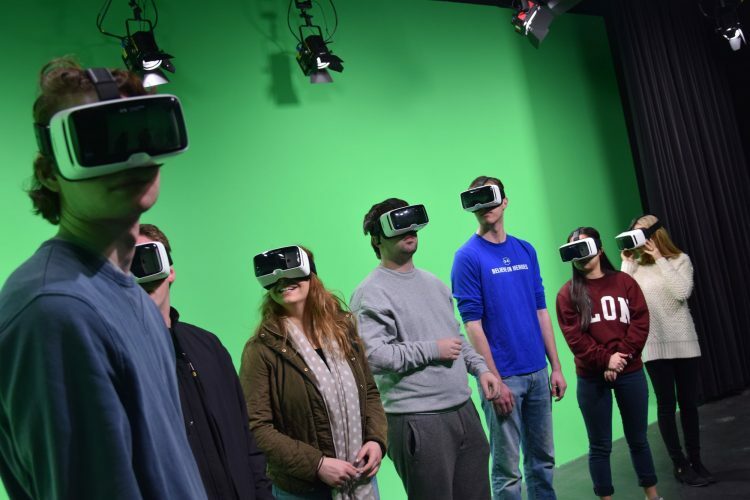 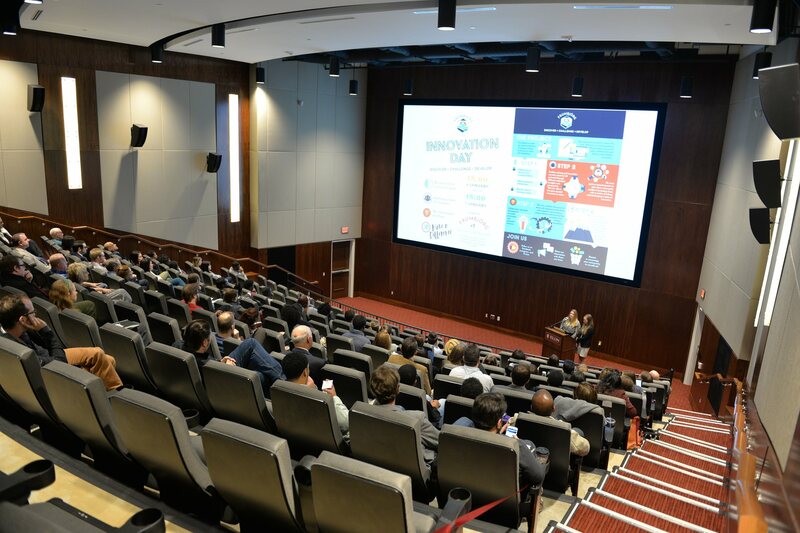 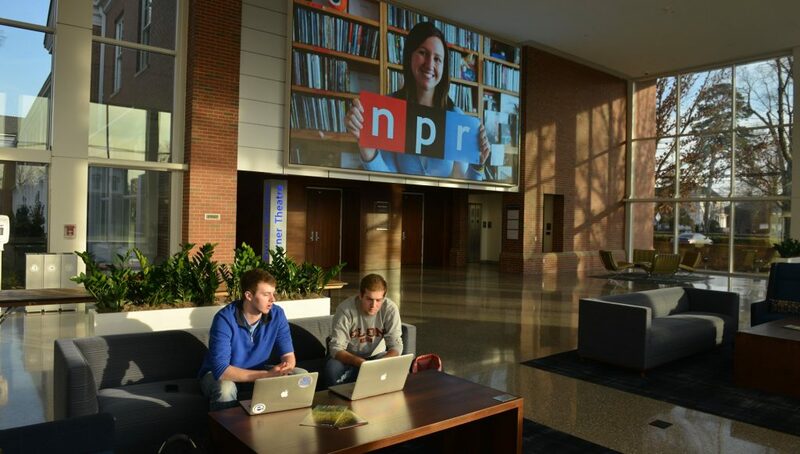 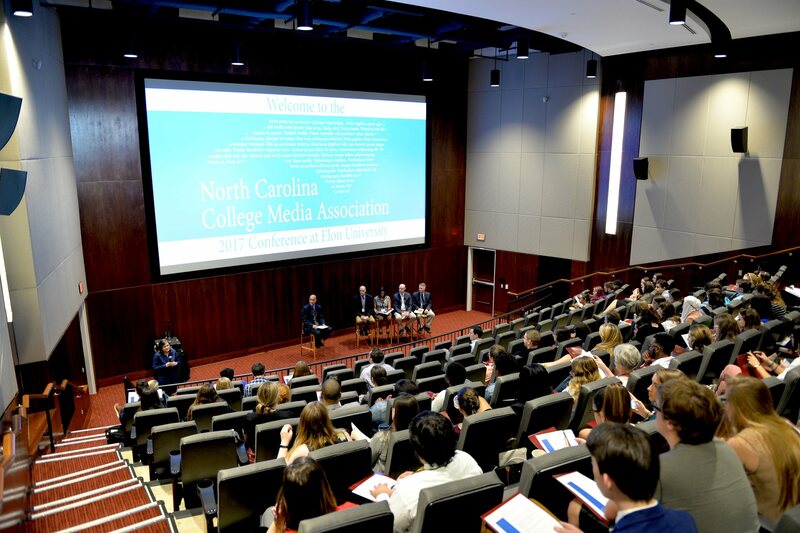 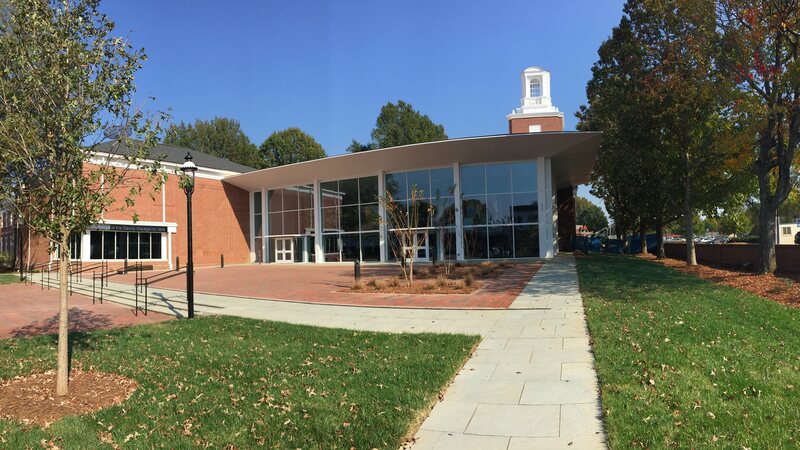 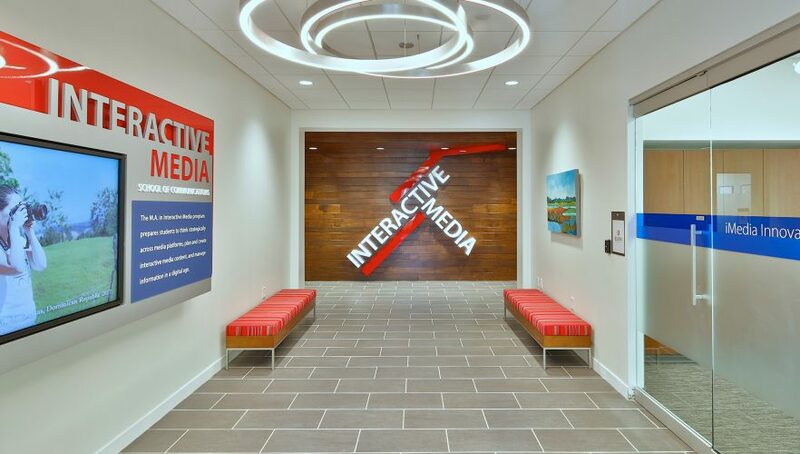 Elon University’s School of Communications dedicated new facilities in spring 2017, providing students with a learning-centered environment and the latest technological resources on par with professional communications settings. 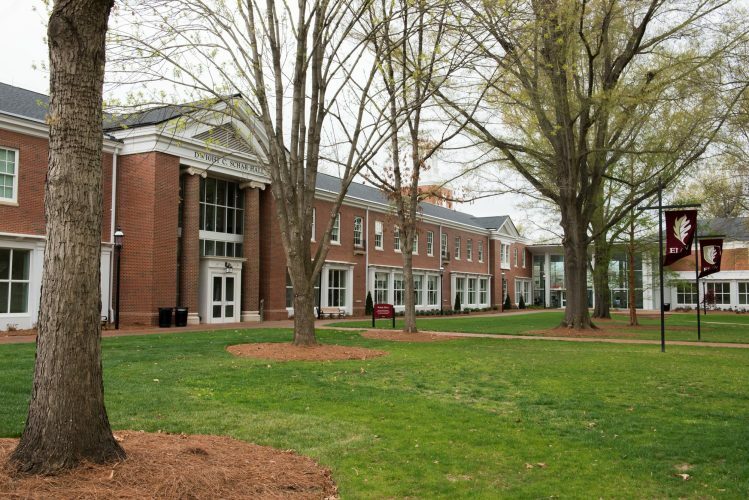 The school’s new quad brings together 1,250 students and more than 80 faculty and staff in four adjoining buildings creating a 105,000-square-foot learning laboratory. 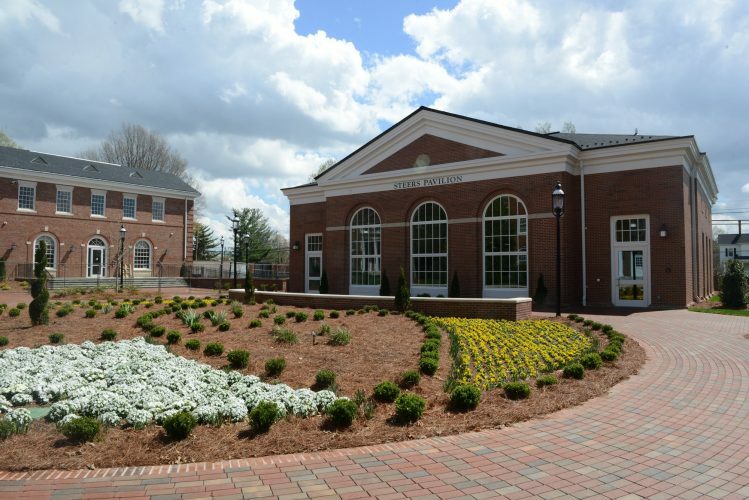 The new facilities were made possible through the gifts of more than 40 families.